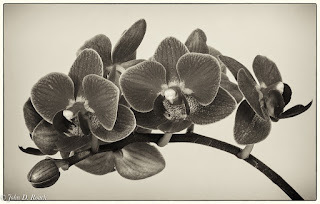 There are those days when you would rather be outside enjoying warm weather while capturing the light and making images. Last week, I had one of those days, but knew that I had to stay indoors from 8am to 3pm to await the delivery of a new outdoor cooking grill. So in preparation for that, I went to the store and purchased for $10 a small orchid (the instructions are give it one ice cube per week and keep it in decent light!). The following are a series of processed images taken with my D700 with both a 28-300mm lens as well as one with my 90mm Tamron Macro Lens with flash and/or natural light and my 24x24 inch light tent and processed in Lightroom as well as some other post processing tools such Nik Silver Efex, One Perfect Effects and Topaz Impressions. 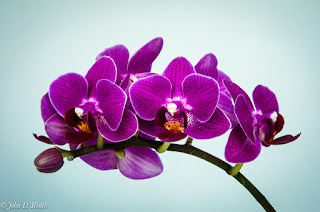 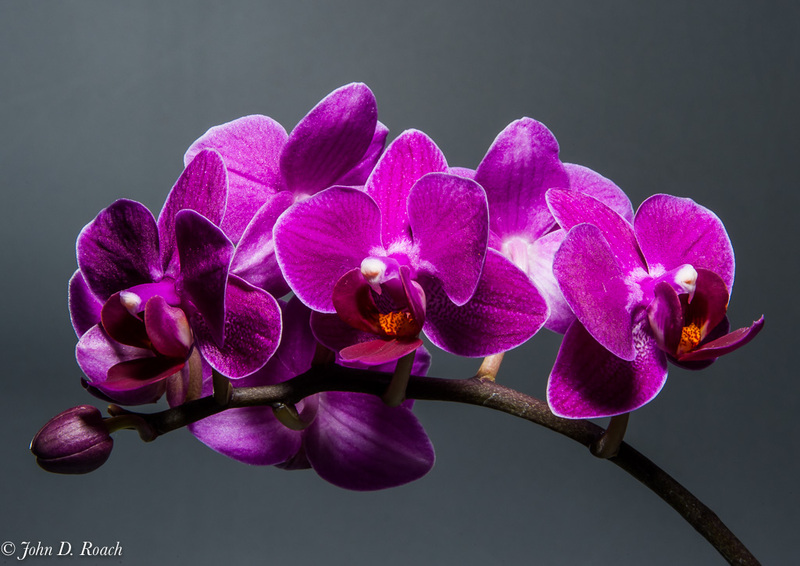 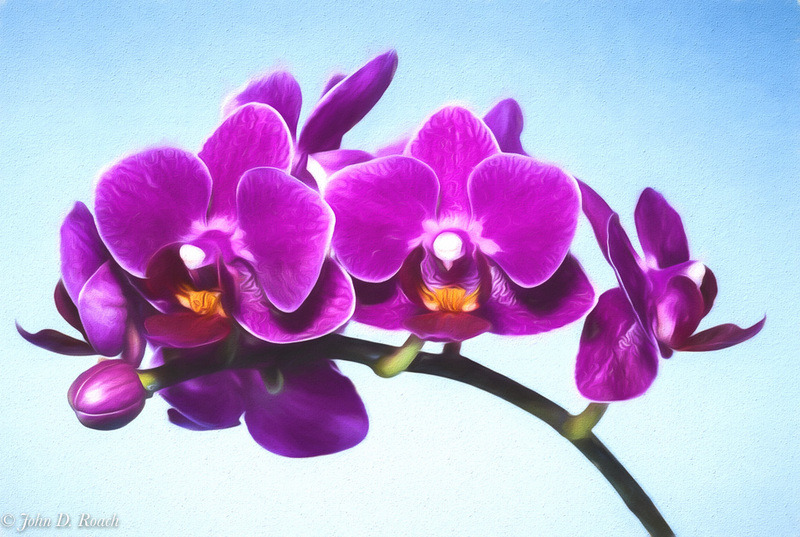 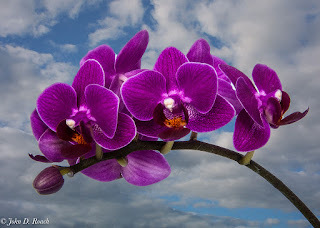 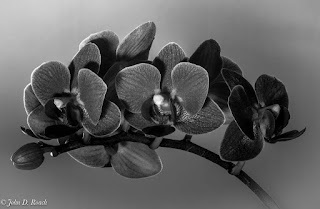 There are so very many possibilities for capturing the essence of a orchid....I hope you enjoy! Note: The second image above received a 2nd place award for Flower Photography at www.BetterPhoto.com May 2015 Contest.